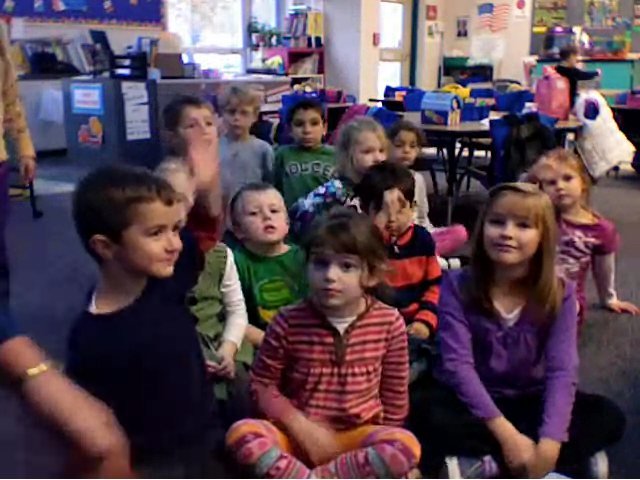 This week we Skyped with our friends from Southampton, Massachusetts. There were a few problems as Mrs. Lee couldn't connect with them. But we finally were able to see smiling faces sitting on the carpet across from us. They asked us questions about what we do in our gym and if we had a cafeteria. 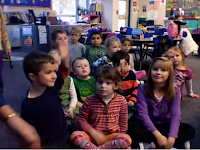 Mrs. Poulin's students and our class agreed that pizza was the best lunch. We wondered what the weather was like over there because they were all wearing long sleeved shirts and long pants. A thick jacket was also something they needed. We all normally wear t-shirts and shorts because it is so warm. They shared two poems, 'Five Little Indians' and 'I am a Little Indian' with us. They were very loud and clear. 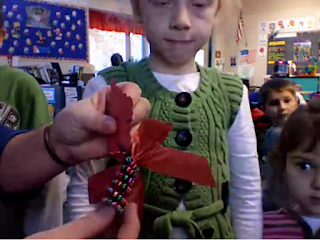 We read 'Thanksgiving Colors', a poem, to them. They are having an 'Apple Pie and Craft Fair' very soon at their school. There are people who will be selling pretty Christmas ornaments. We wish we could go to that fair since it sounds fun. 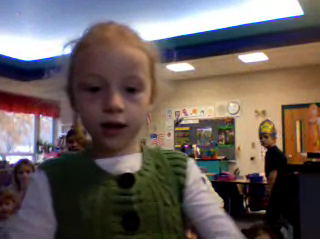 It'll be fun to Skype with Mrs. Poulin and her class next month. We'll learn more about their class and maybe we'll sing songs together.